I thought long about what to post today – maybe another post about hiking maybe? No, the weather has been miserable the last few days so I’ve not been out and hiking. Maybe another post about a restaurant then? Hm, yes could do this, but which one should I write about? Maybe I should write about a typical Saturday activity, like food shopping. Yes, let’s do this. 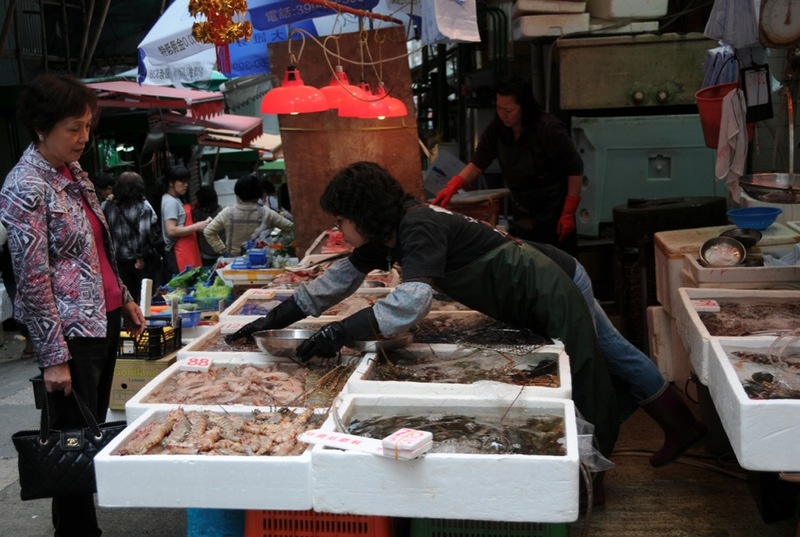 I’ve been posting about food shopping on Discovery Bay previously (for example a post about all the German goodies you can buy here) and now it’s time to focus on a very traditional market in Hong Kong: the wet market. 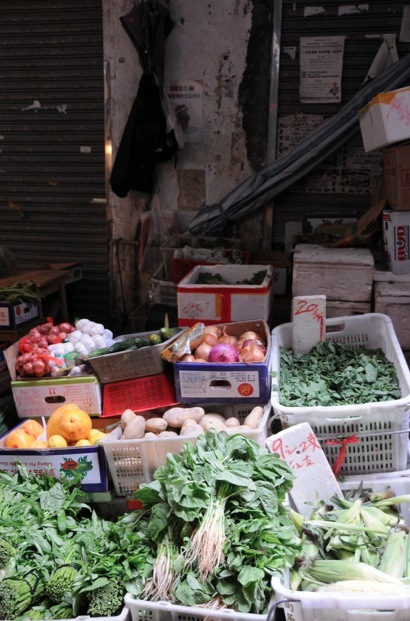 It sounds like a very funny name, but it’s easy to explain: The term “wet market” comes from the extensive use of water in the markets. 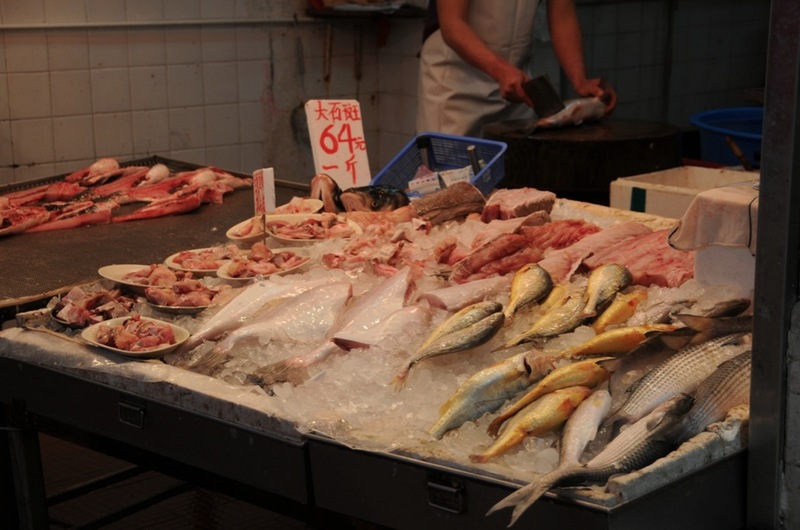 The water is used to wash the floors, keep the fruits and vegetables fresh, and keep fish and shellfish alive. Hence it’s a wet market, as opposed to a dry market (a supermarket). There are a few across Hong Kong and the ones that I regularly go to are in Central (as it’s close to the ferry) or in Wan Chai (that’s close to work). 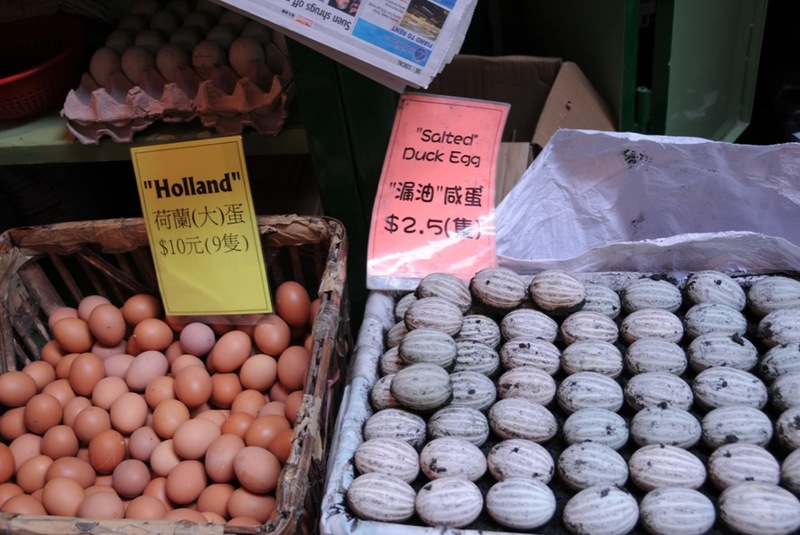 The pictures are all taken at the market in Central (between Queen’s Road Central and Hollywood Road), which is called Graham Street Market. The market has been around for nearly 160 years, and it is a good source to find produce that is in season and affordable. 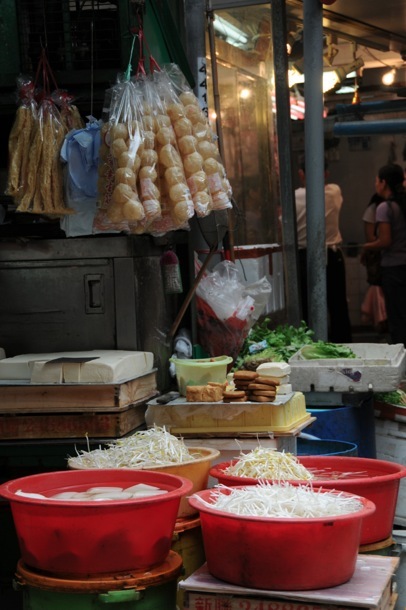 I do like to buy fruit and vegetables at the wet market – you can pick and choose which ones you like. Even f you don’t speak Cantonese you can point with your fingers and nod with your head. It does help to know the numbers though – so you can bargain a little. If you happen to go regularly, vendors will recognise you and sometimes give you something extra. So be nice when bargaining. 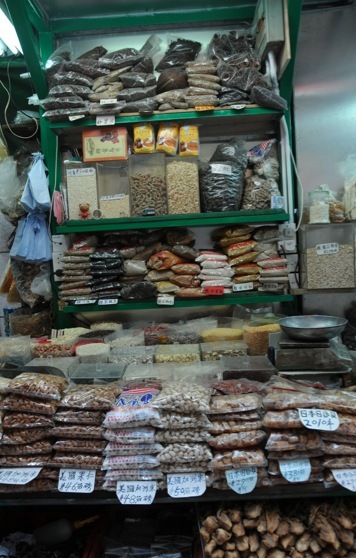 … and the Central market also offers a few packaged dry goods like lentils, beans, rice and other ingredients. 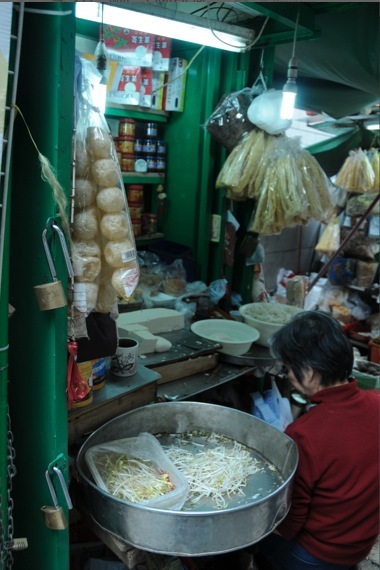 Behind the small stores on the street are also shops that will sell you sauces and other ingredients.